A Whopping Six TV Tuners! 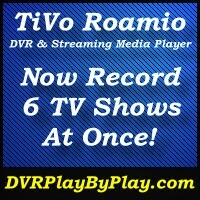 The TiVo Roamio Pro DVR and streaming media player has six (6) HD digital cable TV tuners built-in. These tuners allow the Pro to record up to six television shows at one time. Also, one television show can be watched live while 5 other shows are recording. Plus live TV can be streamed to other televisions in the house. As long as there are no more than 6 tuners being used, TV programming can be viewed, recorded, or streamed in any combination. The TiVo Roamio Plus (and Pro) require a M-card CableCard in order to decipher the HD digital cable channels provided by the cable company. These cards are similar to the PC Cards that were used years ago for adding additional hardware to laptops. The CableCard must be a M-Card for multiple tuner devices. A S-card will not work. Most cable companies will provide the first CableCard free of charge. But policies vary among cable companies around the country. When cable companies do charge a monthly fee for a CableCard, the cost should average about $2 to $4 with extremes of $1.10 to $10. By law, your cable company has to supply a CableCard if you want one; but they also are allowed to charge whatever fee they wish. I pay $7.45 for an M-Card from Comcast. The TiVo Roamio Pro only supports digital cable systems and Verizon FIOS. AT&T U-verse and satellite TV are not supported. However, TiVo has a partnership with DirectTV and some cable providers to provide set top boxes with the TiVo interface. You’ll want to check with DirectTV or your local cable TV provider to see what’s available in your area. HD digital antenna is also not an option with the TiVo Roamio Plus or Pro. If you want to receive HD digital channels over the air on the TiVo Roamio, read my review of the TiVo Roamio base model which is the only TiVo Roamio that accepts HD digital over the air broadcasts. The TiVo Roamio Pro is compatible with Verizon FIOS and other FIOS systems across the country. FIOS is a fiber optic system provided by telephone companies to bring HD digital television and high-speed Internet into the home. FIOS set top boxes use CableCards just like the cable TV providers use. Contact your FIOS provider for pricing and availability of their CableCards. The average monthly fee is about $5. The TiVo Roamio Pro features a 3 TB hard disk which can record 450 hours of HD programming and 3,000 hours of shows at standard definition. The storage of the TiVo Roamio can be increased by adding an external hard drive. The external drive must have an eSATA connection in order to plug into the back of the unit. One word of caution about expanding the TiVo Roamio. The external drive is not a portable hard drive and cannot be used to carry programs for viewing on other TiVo systems. Shows are equally divided between internal and external storage. When the external drive is first plugged into a TiVo, the drive is formatted and all previously contained content will be erased. The TiVo Roamio Pro DVR and Streaming Media Player has a standard F-type coax connector used for attaching the cable TV feed. This connection is also used for a MoCA (multimedia over coax alliance) network if you will be using that feature. More on that later. Remember, the cable TV connection is only for digital cable TV. No analog signals or antenna broadcasts are supported. Also for networking is the RJ45 Ethernet connector. While all TiVo Roamio models also have built-in wireless networking, a wired network connection is recommend for streaming video to other TVs in the house or streaming content outside the home. Wireless networking may be able to support one stream but a wired connection is definitely needed if more video content will be streamed. In order to watch your TiVo in high definition, you will need to plug your TV into the HDMI port on the back panel. Don’t forget to purchase an HDMI cable if you don’t have a spare lying around somewhere. TiVo doesn’t include any cables with the TiVo Roamio. HDMI not an option on your TV? There are also standard composite video (yellow) and component video (red, green, blue) RCA connectors. Also, the standard stereo RCA audio outputs (red and white) are there. Optical audio output is also built-in if you have a stereo or TV that can take advantage of that feature. Also on the back are the AC power input, 2 USB ports, and the M-Card slot. Since the TiVo experience relies heavily on their integrated program guide, a broadband connection is one of the requirements for owning a TiVo. In most cases, the built-in wireless adapter will do just fine for receiving program guide updates and software updates as well. Wireless can be used for light streaming but will not be able to stream video to multiple devices simultaneously. It is best to connect your TiVo Roamio to your home network with a wired connection if video will be streamed to other devices. There are two methods for making a wired connection: MoCA and Ethernet. Both type of wired connections can be used together if needed. Connecting to the home network through an Ethernet connection is very straightforward. Simply purchase an Ethernet cable of the appropriate length and connect it between the Roamio’s Ethernet port and any available LAN port on the home network’s router, switch, or hub. Unlike the base model TiVo Roamio, the Pro supports MoCA networks as well. MoCA networking uses the existing television coaxial cable in your home as a wired network. MoCA can be used when you want to connect TiVo Mini devices to your TiVo Roamio and running Ethernet cables is not an option. Since MoCA uses existing coax cable, there’s no need to run additional wires for network connections. MoCA is carried on the TV coax cable and has no separate connector. Once you have your TiVo setup and connected to your home network, it’s time to get it activated. Activation can be accomplished over the phone or over the Internet. Activation requires you to create an account and signup for monthly subscription service. The subscription allows the TiVo to periodically update the program guide and receive software updates when issued by TiVo. Without a subscription, the TiVo will not have an updated program guide which would defeat much of the Roamio’s usefulness. According to TiVo, a Roamio without a subscription plan can only be used to watch live television or to watch previously recorded programs. No smart or automatic recording can take place. A monthly subscription to the TiVo service is $14.99 with a one year commitment. All TiVo units come with a 30 day money back guarantee. So if the subscription is canceled within 30 days, then the 1 year commitment is voided. If however, the subscription is canceled after 30 days and before the one year commitment is fulfilled, there is an early termination fee of $75. Once the one year contract has ended, TiVo will continue to bill you at $14.99 per month until you cancel. TiVo also offers lifetime subscription plans. Lifetime means for the life of the unit assigned to that subscription. If a problem occurs while the Roamio is under warranty, a new TiVo can be substituted for the old one on the lifetime subscription plan. Once out of warranty, the lifetime subscription does not transfer to a new TiVo. If you would happen to sell of give away a TiVo with a lifetime subscription, the subscription does not transfer to the new owner. In other words, lifetime subscriptions do not transfer for any reason unless the unit is replaced while under warranty. Lifetime subscriptions are a good way to save money over time; but also a very good way to lose money if service is canceled within the first 33 months or so. Before signing up for a lifetime subscription it is recommended to carefully weigh the pros and cons of monthly versus lifetime. For people owning more than one TiVo, the company offers discounted plans as well. Each additional TiVo unit is billed at $12.99 per month or $399.99 for a lifetime subscription. Also, each TiVo Mini device must have a subscription as well. The plan costs $5.99 per Mini per month or $149.99 per Mini for a lifetime subscription. There is now no monthly subscription cost for the TiVo Mini for TiVo DVR units in the Bolt line, Roamio line, and Premiere line. One of the biggest selling points of the TiVo Roamio Pro DVR and streaming media player is it’s ability to put all your entertainment needs on one menu. There is no need to switch between TV, DVR, and streaming media player, You simply watch your TiVo for everything you need. All your favorite streaming apps are included. Those apps are NetFlix, Hulu Plus, Amazon Instant Video, MLB.tv Premium, Spotify, AOL On, YouTube, and Pandora. Most of these streaming services require a paid subscription in order to access their content. Pandora, YouTube, and AOL On are free but the others require you to pay a separate monthly fee as they are not part of your TiVo subscription. Well, Amazon Instant Video is free to access but you have to pay for the movies and TV shows you view. Unfortunately, TiVo does not Support Amazon Prime Instant Video. There seems to be a great deal of misinformation about this topic on Amazon. Most people are confused over the two different services and don’t realize that Prime Instant Video is part of the Prime membership. This is the service that TiVo currently does not support. Any video content that was purchased separately is from Amazon Instant Video. This service is supported by TiVo. Finally, to the delight of many Comcast cable customers, Xfinity! OnDemand is available on TiVo in most areas of the country. You can check with Comcast to see if OnDemand is available for the TiVo in your area. At this time, this is the only cable OnDemand service available to TiVo subscribers. There are some amazing features built-in to the TiVo Roamio Pro. One of the most important features is the ability of the TiVo Roamio Pro to become a whole-house DVR solution. This task is accomplished by adding TiVo Mini devices to each television in your home. The TiVo Mini allows you to connect other TVs in the house to the TiVo Roamio. The Mini is essentially a TiVo unit without the hard drive. Through streaming, the TiVo Mini allows you to use any connected televisions just as you would use them if they were connected directly to the TiVo Roamio itself. You can watch live TV, stream online content, schedule recordings, and watch recorded shows. As stated earlier, TiVo recommends either a Ethernet or MoCA connection in order for whole-house DVR services to function properly. It is also important to note, that during live television viewing on the Mini, the overall number of available TV tuners on the Roamio will be decreased by one for each Mini device viewing live television. In homes with multiple people watching different television at once, there may not be enough tuners to handle live TV and recordings at one time. 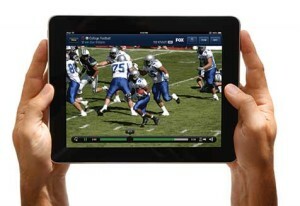 Also, with the built-in TiVo Stream, content can be streamed to an iPad, iPhone, or Android device. The TiVo Roamio Pro allows up to 4 simultaneous streaming events to occur at once. Both live television and recorded programming can be streamed. Although some premium channel content cannot be streamed according to copy-protection set forth by your cable provider. Recorded video content can also be downloaded to an iPad or iPhone. This feature is very useful to avoid using a large amount of data from a smartphone data plan. The download can take place either at home or when out and about where WiFi is available. The content can be downloaded and watched at a later time. Of course, the ability to record or view up to six TV shows is a major attraction for customers of the TiVo Roamio Plus and Pro models. With the six tuners, the Roamio Pro can be used to view and record in varying amounts as long as no more than six tuners are needed. This allows the entire family to use the TiVo Roamio from other rooms in the house without the need to rent cable company equipment. While the Roamio is recording or being used by other devices to view live television, it can stream content from Netflix, Hulu Plus, or any of the other included services as well. Keep in mind that streaming content does download data through your broadband service provider. If your current Internet service has a data cap, you need to keep this in mind when streaming video to the TiVo Roamio or Tivo Mini devices. Cable companies tend to cap the monthly data downloaded but usually don’t restrict the amount of data you send out. So streaming content to your iPad or iPhone while away from home shouldn’t impact your monthly data allotment. Probably the one feature that sets the TiVo Roamio apart from every other DVR out there is the UI (user interface). This is the all new UI found on no other TiVo. It’s much more responsive when you press keys on the remote. It’s sleek, intuitive, and puts all your TV and streaming apps all on one menu. Many people have asked TiVo to make the new UI available on older units; but so far TiVo has no plans to do so. TiVo has introduced a new search function. Not only does the search look through all TV listings but it now searches all Internet based content as well. So when you look up your favorite TV show, the Roamio looks at TV listing, Netflix, Hulu Plus, YouTube, Amazon, etc. And you have the ability to change the services that search accesses. Don’t want to check on Youtube, just remove it from the search bar. If you often find yourself looking for things to watch, you may like TiVo Suggestions. Here the TiVo Roamio can record programs based upon what you have previously watched and recorded. This service is community based and takes your interests and combines them with what other TiVo customers are watching to try and give you an accurate group of suggested video content to watch. The suggested videos never will prevent your content from recording and will be the first videos deleted when space is needed. If you don’t like TiVo Suggestions, it can be turned off. 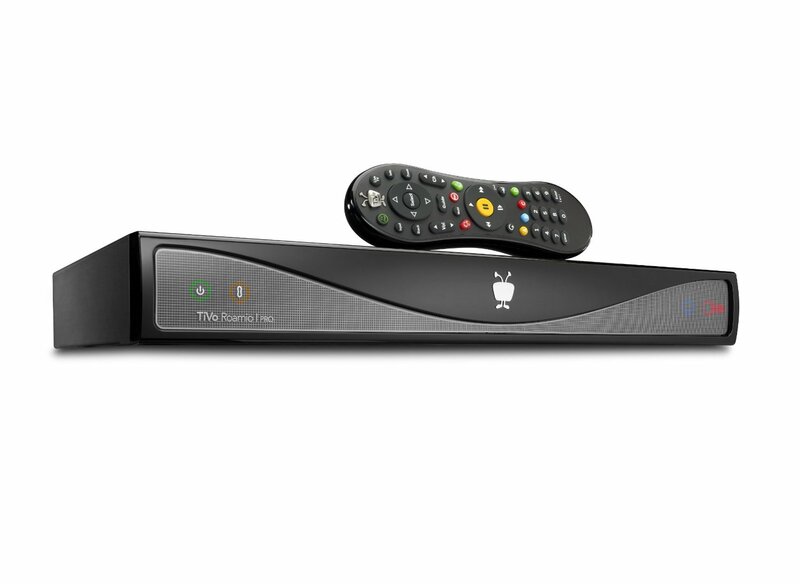 And lastly, the TiVo Pro helps end the search for the remote control that always seems to get misplaced. The Pro has a convenient remote control locator button that when pressed will cause the remote control to beep. Recently while reviewing customer comments on Amazon I noticed that 84% of all customers had given the TiVo Roamio Pro DVR and Streaming Media Player a 4- or 5-star rating. This is an extremely high number of very good ratings for just about any product on the market. Almost all reviews mention how easy the TiVo Roamio is to setup and use. People buy the TiVo in great part for the TiVo User Interface and the Integrated Program Guide. These are the two areas where most cable company supplied set top boxes fail to meet the needs of customers. Of course the common complaint is the monthly subscription fee. No one wants to pay a monthly fee but it seems to make some people want to avoid the TiVo since this fee is paid in addition to the regular monthly cable fee. Others do complain about the lifetime subscription not transferring to other TiVo units purchased later. 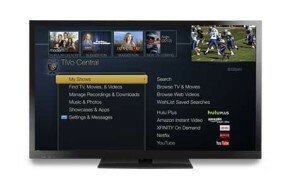 But over all, the TiVo system is very well respected and an overall extremely positive experience. 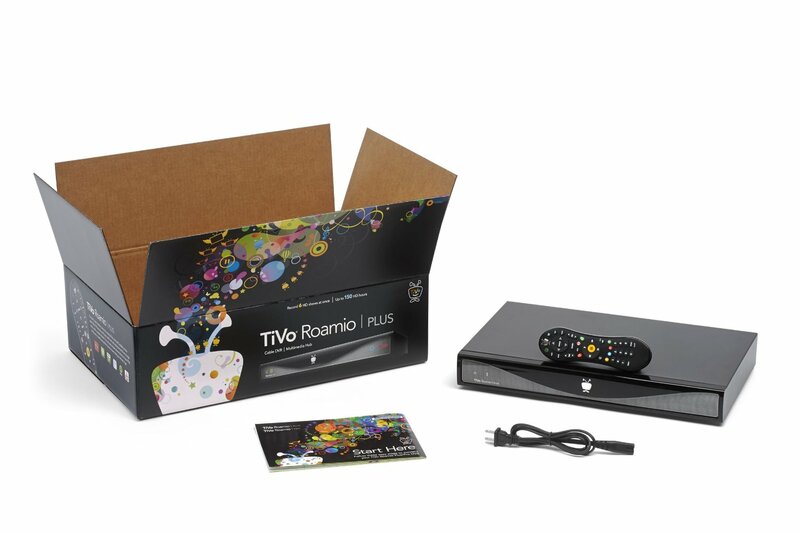 Currently, the TiVo Roamio Pro sells for $450. The TiVo Roamio Pro gives you an opportunity to make it a whole-house DVR solution which may save some money off your total monthly cable bill. Unfortunately this requires a larger investment upfront but should pay for itself over time. Most people expect to have the system pay for itself in less than two years and that’s with buying addition TiVo Mini devices (each about $140). Simply put, the TiVo Roamio’s capabilities are far superior to any cable company supplied box out there. For the cost of a single CableCard (if any cost at all), the TiVo experience can be shared throughout the house allowing you and your family to turn a single DVR into a whole-house DVR solution. When weighing the costs and benefits of the TiVo whole-house DVR system, it is clear that the majority of people will save money over time while enjoying the best DVR experience out there.